My brief take: A friend recommended The Elephant Whisperer at a time when I was looking to read something a bit different from the genres I usually read. I’m so glad I did. It’s a remarkable memoir that left me grateful for people who can and will step up to be caretakers and protectors of wildlife around the world. Mr. Anthony agreed to take care of the “rogue” herd of elephants on his game reserve in South Africa and then wrote about his experiences. It’s a compelling story that had me wishing for a film version so more people would learn about the amazing elephants and other creatures on Thula Thula and elsewhere. Simon Vance’s performance was wonderful. In my mind, he was Lawrence Anthony. I highly recommend the audiobook! 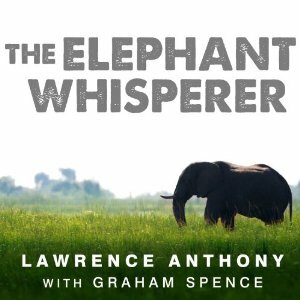 The Elephant Whisperer was an Audie Award Winner, Biography/Memoir, 2014.